Our weekend rowing trips offer you a three day getaway with the chance to go somewhere different with virtually no time off work. Or use it to enhance a longer non-rowing vacation. Whatever your motivation, these trips give you an intense dose of your favourite sport in a beautiful location. And of course we also offer our signature quality accommodation, food and other activities. Treat yourself, get away for a short break. 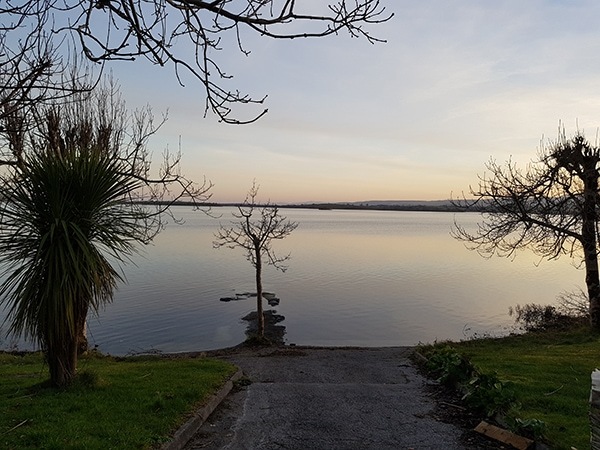 What better place than Ireland and now Galway and alluring Lough Corrib. Come by yourself and meet other rowers. Bring your rowing buddies to share the fun with. However you join us, a warm Irish welcome awaits you. We partner with two rowing clubs in Galway: Grainne Mhaol Rowing Club and Tribesmen Rowing Club. Both have interesting names that connect to local folklore and history. Grainne Mhaol is not pronounced how it is spelled. You will get a lesson, although the anglicized name of Grace O’Malley is easier. She was a legendary pirate from the 16th century, who gained great wealth and influence, not only through her raiding parties but also with strategic marriages. She is remembered as a significant defender of the Irish against the English, as well an early feminist. The name of the Tribesmen Rowing Club refers to the 14 tribes or merchant families of Galway, which dominated all aspects of city life for many centuries. Flags of the different tribes fly in Eyre Square. 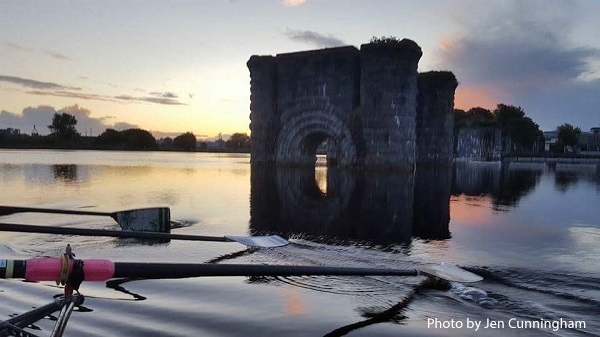 As you spend time with rowers from these clubs, you will begin to understand more and more about the local depth of connections to tradition, folklore, history and culture in this beautiful part of Ireland. How much can you pack into one weekend? A lot if you are travel to the western reaches of Ireland and the counties Galway and Mayo. In just three days we will move between city and country. First we will enjoy time in charming and colourful Galway, where the pubs pulse with traditional music and friends sharing a pint of Guinness or a local ale. Of course there is also always a quiet corner in a snug. Then on to the wild and rugged countryside of Connemara. This is some of the most famous and stunningly beautiful scenery in this country of spectacular sights. Big rounded mountains fold into valleys winding to nowhere, lakes and bogs fill the creases in green hills, and everywhere stone walls enclose sheep dotted with colourful splotches. Even the rowing is a study in contrasts. We begin with a spin on the shortest river in Europe. The setting is urban. The next two rows are on The Republic of Ireland’s biggest lake. The feel is much more remote. All in one weekend! Guide services and tour support. Trip guided by Ruth Marr with Jennifer Cunningham and local rowers. Ireland is one of our most popular destinations, so we are pleased to offer two choices on the Emerald Isle. What about our Ancient East of Ireland weekend instead? 3days/2nights with three days of rowing. Wind and weather may mean that the itinerary must be modified from what is indicated here. Safety is a priority. Arrive by 12:00 and check into your accommodation in Galway city. At 14:00 we gather at our host rowing clubs on Earls Island. Our row today is fondly called the Old River Loop. We can row up to 15 km on the shortest river in Europe. There are still sights to see. We will paddle up to the boom to get a glimpse of the city and the Salmon Weir Bridge before heading up river past the picturesque and ivy-clad ruins of Menlo Castle, dating from the 16th century. For the evening we will head into the Latin Quarter in the heart of the city for a wonderful welcome dinner followed by traditional Irish music in the Crane Bar. Welcome to Galway! After a hearty Irish breakfast we head by bus to beautiful Lough Corrib. 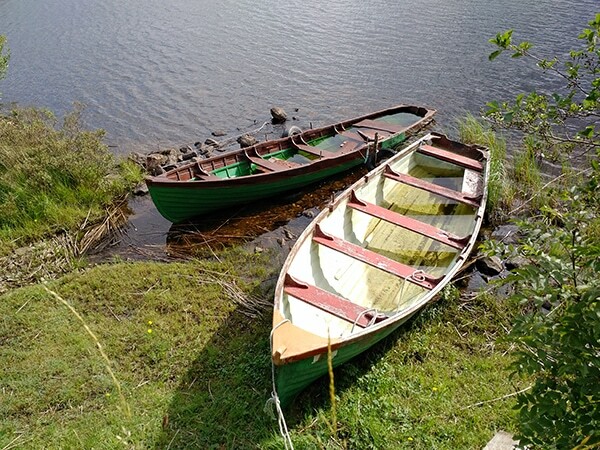 Our boats will be waiting for us at Derrymoyle slip in Oughterard. 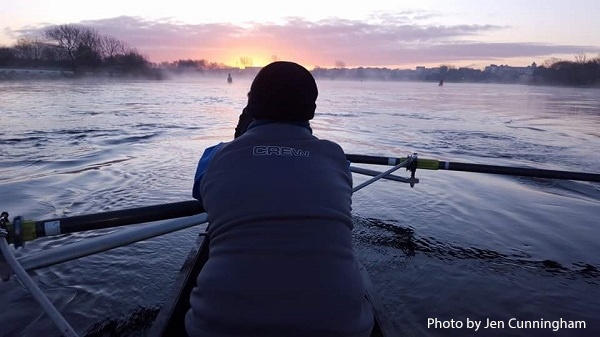 We will enjoy a pleasurable morning row to Currarevagh House, a stately Victorian home. Our picnic lunch will feature freshly picked seasonal produce and locally caught fish such as salmon, trout and mackerel. 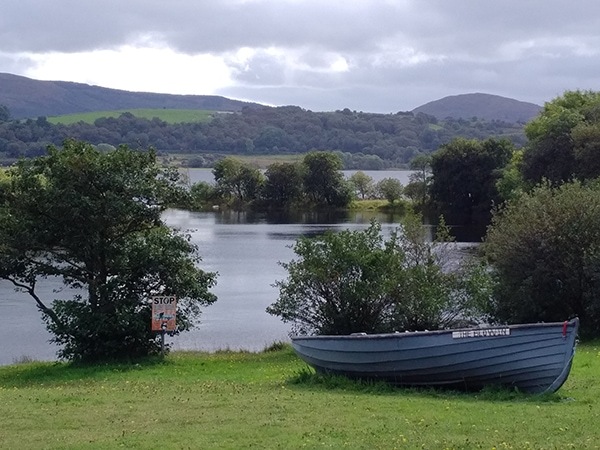 The highlight of our afternoon row will be the stunning landscape of the Connemara hills, as we wind our way amongst myriad islands towards Maam Valley. Of course we must stop in at Keanes Bar in Maam for a pint of the Black Stuff before boarding our bus and heading to Cong to settle into our guesthouse and then enjoy a hearty dinner. Whether the night before or first thing in the morning, we will want to stroll the streets of Cong, the epitome of a traditional Irish village. We could also visit the gardens of beautiful Ashford Castle. Not much seems to have changed in Cong since The Quiet Man was filmed here in 1951. Once the tour buses start rolling in it is anything but quiet, but not to worry, we will be on the water before then. 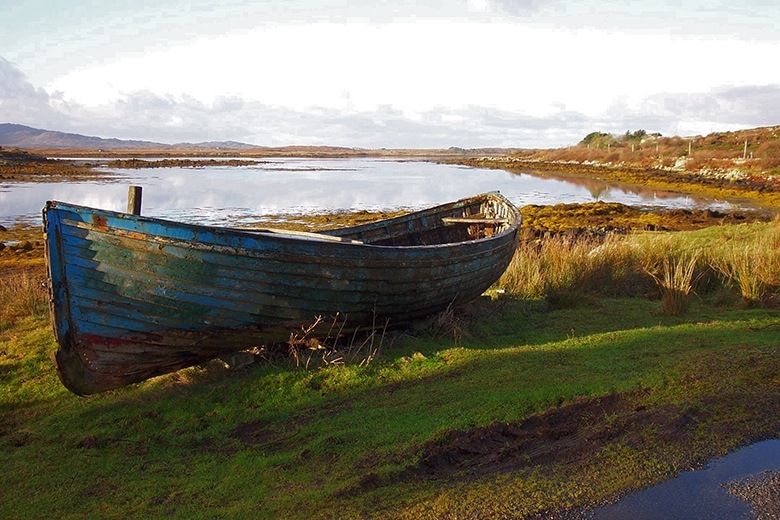 Together with our boats, we will be transported to Lisloughrey. From there we will row out to historical Inchagoill Island, best know for its ancient monastery and beautiful wooded forest walk. Another tasty picnic on Inchagoill before we return to our launching point. From there back to Galway to catch an early evening train, bus or transportation can be organized to get to Shannon or Dublin airports.